If you visit web site of any company selling products or services, you will most certainly find Support menu there with contact details of the company call center. 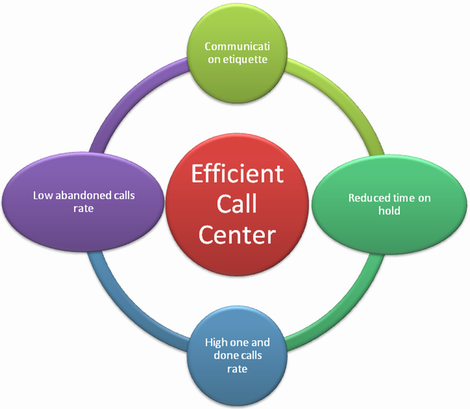 All reputable companies have own call centers to handle calls from existing and potential customers. The importance of a call center can be hardly overestimated. Imagine that you want to purchase a hosting plan from a web hosting provider and you are calling their tech support or a call center. What decision would you make if you do not like conversation with a call center operator? Perhaps, you will look for other companies. What if you have already purchased a hosting plan for 1 month and during this month you had a negative experience in talking with call center operators? Most certainly you will search for another web hosting provider. Having a call center does not automatically mean that it will work efficiently. A call center should be managed in a smart way. That is why it is important to evaluate call center or helpdesk performance in order to be aware of problems, weak points as well as strengths. It is impossible to make any plans as to further development of a call center without being aware of current problems. For performance evaluation purposes use of Balanced Scorecard system is highly recommended for top managers. Sometimes, knowing net profits or total expenses for a call a center is not enough to evaluate its performance. In order to get a full picture it is necessary to measure a series of key performance indicators. 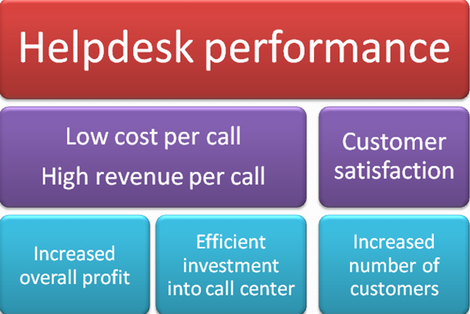 These values represent different aspects of a helpdesk performance. It may happen that you spend too much to maintain helpdesk or you make inefficient investment in the customer support service. 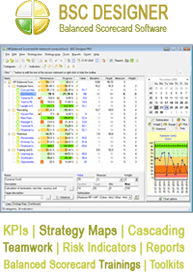 Balanced Scorecard system makes it possible to evaluate KPIs (key performance indicators) and compare results to previous indexes. Thus, you will be able to see a trend (positive or negative). Call center metrics differs from KPIs for other business activities. As the main goal of a helpdesk is providing customers with support and guidance, customer satisfaction is a NUMBER ONE KPI. A customer should like conversation with a call center operator. All his questions must be answered and all problems resolved, if possible. With a Balanced Scorecard system you will be able to reduce cost per call or increase revenue per successful call, as well as improve time on hold, one and done calls rates, abandoned calls rate etc.